DescriptionThese random Delicate textured boxes all come in flat packed form and do not include any ribbons, decorations or fillings which may be purchased separately. Approx. overall size of box when assembled 50x50x50mm. 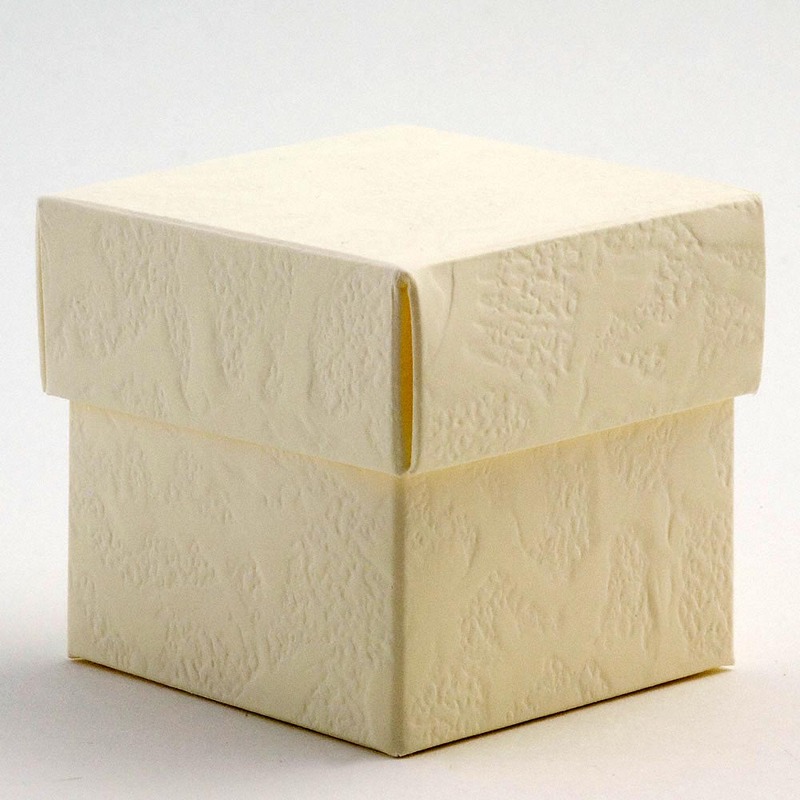 These random Delicate textured boxes all come in flat packed form and do not include any ribbons, decorations or fillings which may be purchased separately. Approx. overall size of box when assembled 50x50x50mm.